The $1 million Travers Stakes at Saratoga on Aug. 24 will air on the national Fox network, it was announced Thursday. The Travers will be broadcast from 5-6 p.m. Eastern. The Travers had been broadcast on NBC or NBCSN since 2011. Since 2016, NYRA and Fox Sports have collaborated on broadcasts on Fox’s FS2 network. Last November, NYRA and Fox Sports announced a long-term television programming deal where FOX Sports will broadcast 500 hours of racing from NYRA tracks in 2019, including nearly daily coverage at Belmont and Saratoga. ◗ There will be two turf stakes Sunday at Aqueduct. Chad Brown will go for his fourth consecutive victory in the $100,000 Plenty of Grace Stakes for fillies and mares when he sends out Fifty Five – runner-up to Uni in last year’s Plenty of Grace – and Thais in a field of five for the one-mile race. 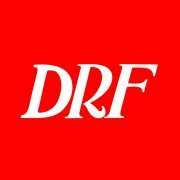 The $100,000 Mizdirection, for 3-year-old fillies at six furlongs, drew a field of nine, including the trio of Mae Never No, Moonlight Romance, and Chelsea Cloisters from the barn of Wesley Ward.